The Gables offers its residents all the comforts of home along with many appealing amenities to enhance your social and physical well-being. compassionate professionals, who are well trained in their area of expertise. For more than 30 years, The Gables has taken great pride in offering true compassion and the highest quality of care to the senior population. 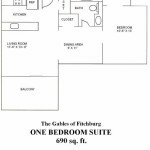 From the beginning The Gables was designed to enhance your life, your well being, and your sense of living in your own home. 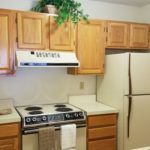 We offer some of the most spacious full size assisted living apartments in the area with a complete array of personal care services and conveniences while maintaining the most reasonable prices. We invite you to visit our beautiful community to discover all of the services, activities and the active and social life style that is available to you. 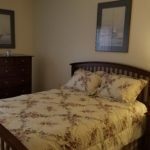 We understand that one of the challenges of moving from a house to an assisted living community is that most communities have very small accommodations. 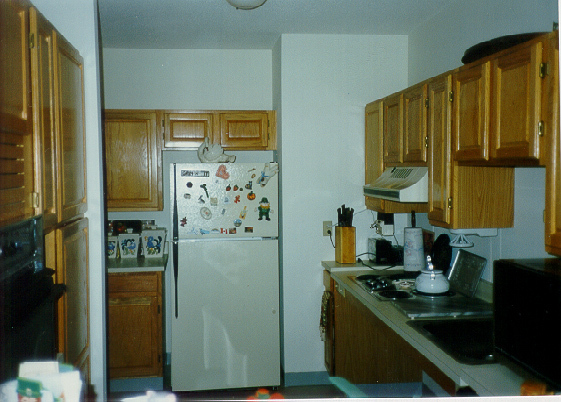 Many times, they only have a small room and one closet for your personal belongings. 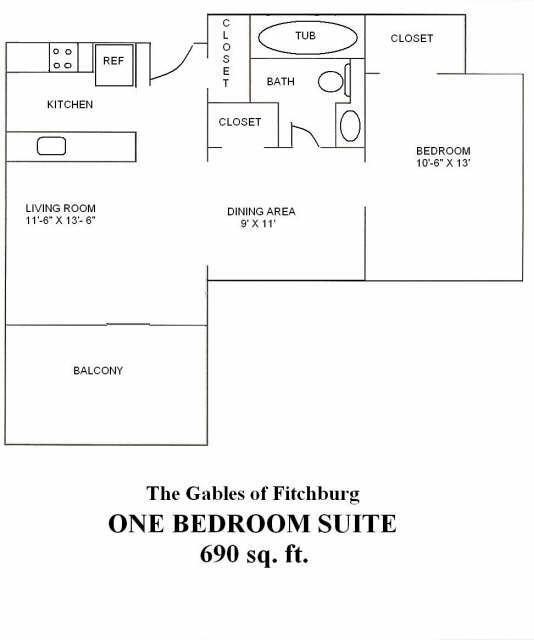 At The Gables, we have full size apartments that are designed to accommodate a generous amount of your favorite furnishings and cherished belongings. 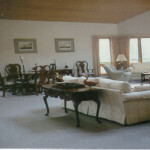 We know it is important to maintain your individuality and the feeling of comfort that comes with your own belongings. Please come by to see how truly unique we are. True Caring and Compassion sets us apart. Our mission is to provide the best service, and quality care for you, and peace of mind for your family. The Gables offers its residents all the comforts of home along with many appealing amenities to enhance your social and physical well-being. Our residences consist of well-designed One Bedroom, Two Bedroom and Studio apartments that provide a comforable environment in which to live. Dining and housekeeping service, planned activities and our excellent wellness team provide the additional benefits to enhance your quality of life. Every resident is different and “assisted living services” means different things to different people. That’s why we begin with a customized assessment of support services requirements before our residents even move in. With this information, we can plan to meet each resident’s specific needs from day one. We also follow up after move-in to make sure the level of support is sufficient and appropriate. With our full-service model, we can handle whatever changes need to be made. Our promise is to provide a level of quality service that will ensure our residents enjoy the quality of life they so richly deserve. Our satisfaction comes from knowing we have met or exceeded the quality of care residents expect from us. We value the trust our residents have placed in us and we strive daily to maintain that trust. We are committed to providing superior service, through our caring and friendly staff, so our residents maintain a quality of life with purpose and dignity. Our mission is to provide the highest quality of care, service and community to match the needs and desires of our residents and their families. Our approach insures that we meet each resident’s specific needs from day one and adjust services as circumstances change. Designed to ensure that residents are able to manage their daily medications. Three nutritious meals daily providing comfort food to healthy choices combined with our ability to accommodate special dietary needs. Weekly scheduled transportation to grocery stores, banks and pharmacies. Our wellness program, including health education and fitness plans is specifically designed to meet the needs of our residents. Our full time Activity Director keeps our community active and involved. Weekly light housekeeping provided for all apartments. 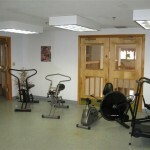 All utilities including electricity, heat and air conditioning. Basic cable television by Comcast is included. Additional options are available. Gracious Common Areas including our living room, library, dining room, cafe, game rooms, pool table, exercise room and activities areas designed to encourage socialization. 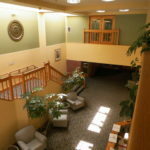 Our compassionate and well trained staff will care for you with a focus on your comfort and well being. For many of the issues that older adults face while living at home, assisted living offers a positive alternative. 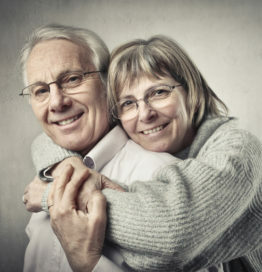 Consider them side by side and see how assisted living could be the wise choice for you or your loved one. You could clearly see this was a different community in terms of quality and finish but most importantly the staff, who are just so wonderful and put you at ease right away. 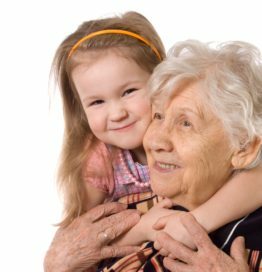 What is “Assisted Living?” How is it different from a nursing home? Assisted Living is a social model of living in which the resident can live in an independent environment with assistance with the activities of daily living and the comfort of knowing that you are never alone. There are a wide range of services and activities designed to meet the needs of seniors who do not reqire 24-hour nursing care. Assisted Living is focused on helping the resident remain as independent as possible. At The Gables we foster independence and encourage our residents to make choices that will enhance their quality of life on a daily basis. When a resident can no longer live in an Assisted Living Community, a nursing home can provide a resident with the advanced care that they need. 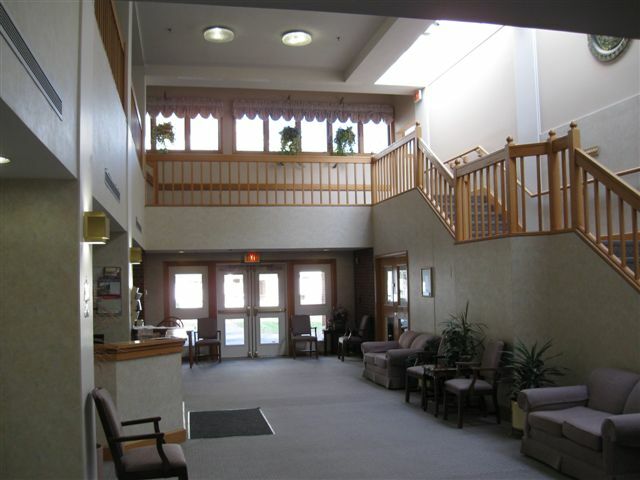 A nursing home is a medical model designed to provide skilled nursing care around the clock. 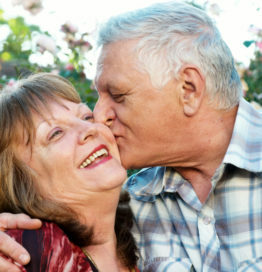 At our assisted living community, we offer many services and ammenities. 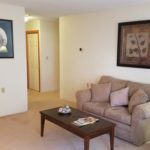 Residents live in their own full-size apartments, as opposed to a commonly shared room found in a nursing home. 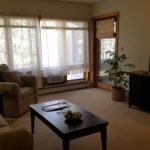 How do I know if the Gables can meet my care needs? The care of our residents is managed by our Resident Care Director and our registered nurse. One of the most important steps in determining if Assisted Living is the right choice for you, is having an initial assesment by one of our nurses. 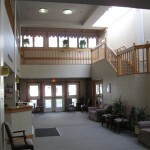 The initial assesment will help you and The Gables determine if assisted living is the right lifestyle for you. The initial assesment helps us to ensure that we can provide the appropriate care for you. 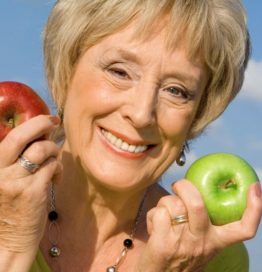 If, for some reason, assisted living is not the best option for you, we will still be able to give you some direction as to what might be the appropriate option for you. To learn more about what an initial assessment entails, feel free to contact us at any time. You can call us at 978-343-8789. What are the costs associated with assisted living? 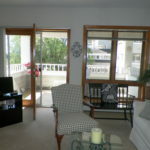 Typically, assisted living is a rental arrangement similar to an apartment community. 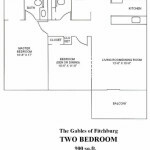 At The Gables you will have a monthly fee based on the current rates for the apartment style that you choose. Our monthly fee is different than many communities because we include most of our services in that one fee. Many other communities will charge a base monthly fee and then charge additionally for each service that they can provide. This may add up to substantial dollars and increase your monthly cost. 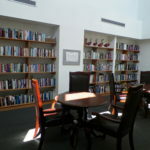 Since The The Gables monthly fee includes most of the services that we offer, you know up-front that you will receive personal care, medication management, 3 meals per day, scheduled transportation that includes trips for local medical appointments, housekeeping, linen laundry service, a full activity and exercise program, basic cable television, all of your utilities except for telephone, 24 hour staff support with a Life Line call pendant and full maintenance services. Since we are all inclusive of these services, you will not have any surprises in the cost. The only additional amounts that you would provide at move-in are a one-time Community Fee of $3,200.00 and a security deposit equal to one month’s rent of your apartment. 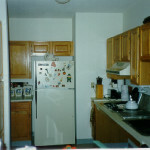 The security deposit remains as yours and we pay you interest on the deposit. 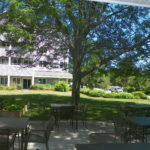 To find out the current rental rates for the different size apartments that we offer, please do not hesitate to contact our Marketing Director by calling 978-343-8789. Is living at the Gables tax-deductible? You may be eligible for certain federal tax deductions based on he types of services and the level of care that ou require. This is an issue that you should discuss with your financial advisor. Can I bring my own personal furnishings to my new Home? Absolutely. 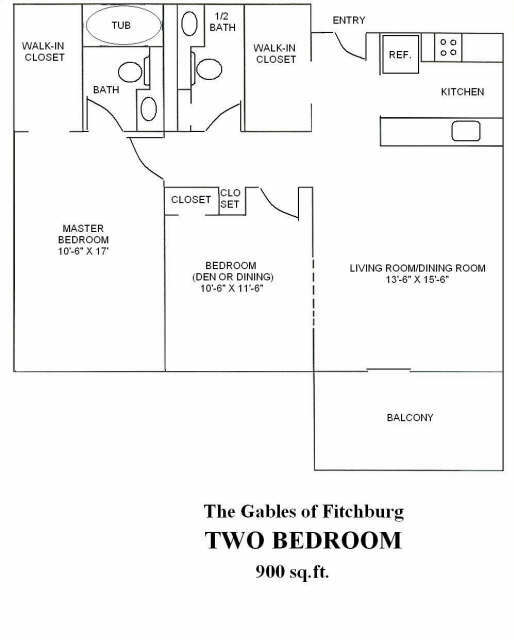 This is going to be your own home and you should have all of the comforts and furnishings you enjoy. 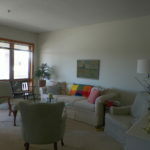 At the Gables residents take pride in decorating their apartments and adding their own personal touches to their homes. Can I bring my pet to The Gables? With prior permission, The Gables does allow residents to keep some types of pets in their apartment. If permission to bring a pet is granted, we would require that all vaccinations and licenses are current, and an agreement that includes a plan for how the resident will care for the pet and who will take the pet in the resident’s absence. We also require the one-time fee of $500.00 to have the pet. Is smoking allowed at Gables? 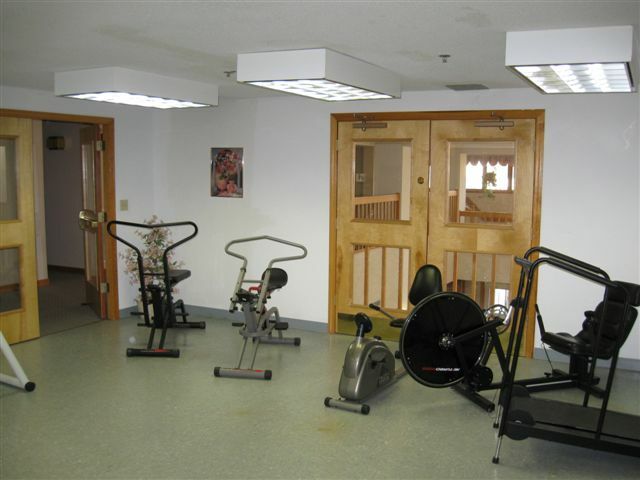 We are sensitive to the health needs of all of our residents; so our community is a non-smoking environment. 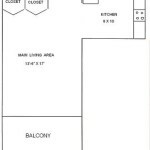 However, we do offer designated outside areas for our residents and their guests that need to smoke. Check with us for more details. All of our residents have LifeLine emergency call pendants that alert our staff of their need for service. Our well-trained staff are on duty 24 hour per day to respond to your call and to contact emergency services if they are required. What kind of activities and events are offered? The Gables’ Activity Director creates a full calendar of activities every month. The activities include opportunities for learning, creativity, exercise and entertainment. From concerts and guest lectures, theater and exercise, games and classes, services and celebrations, civic and volunteer opportunities, trips for shopping and to museums, movies, and much more, you can remain as active and involved as you like. How’s the food at The Gables? 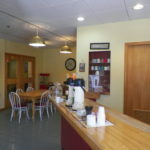 Another area in which we take pride is our food service department. 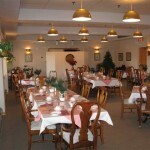 We provide our residents with three nutritious restaurant quality meals every day. Our chefs create several delicious meal choices for each meal of the day. 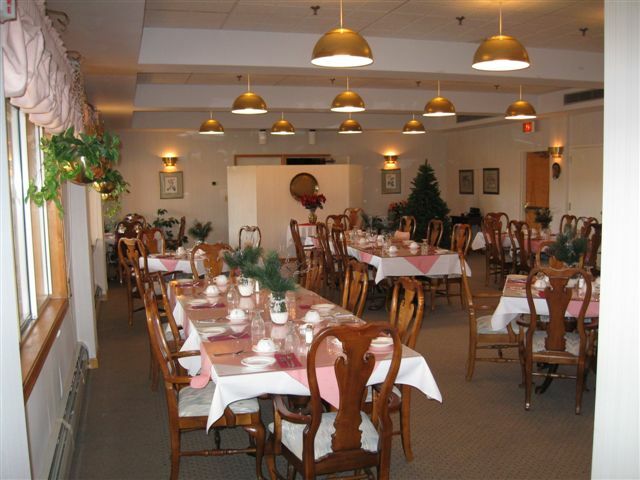 Residents dine with their neighbors in our beautiful dining room. We are also able to accommodate many special dietary requirements to fit our resident’s needs. 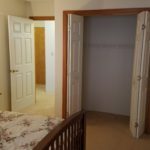 Will I have privacy at The Gables? Yes, you will enjoy the same privacy that you have in your own home. 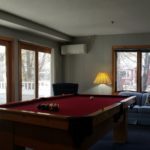 While most residents enjoy the socialization and company of their neighbors and our staff, it is always nice to relax and enjoy the privacy of your own apartment. Yes, The Gables includes scheduled transportation to local appointments, errands and outings as a benefit of your residence. We have a comfortable van that is wheelchair accessible and provides “door to door” transportation for your convenience. Please contact us by phone (978-343-8789) or through facebook.